On Sunday night I woke up feeling no good. Then I got sick, like I haven't been sick since I can't remember when. From what I tell it was either food poisoning or an allergic reaction. My whole body ached, I was vomiting like exorcist style, my body was freezing and my eyelids even got swollen. I was completely out of commission for about 2 days. Joey had to step up and do all my normal duties. Get The Phi ready and to school, as well as take care of Lou throughout the day. And I am happy to report he did it. And a pretty good job too (except for the 2 tardy slips Phi got at school for being late in the morning). 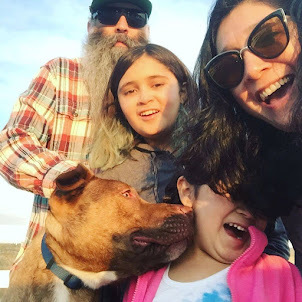 He even had to run errands and still managed to catch a breakfast date with Lou and Uncle Matty (my 2 dads come to life haha). I was starting to feel better and finally got up to shower and as I go to grab the lotion. 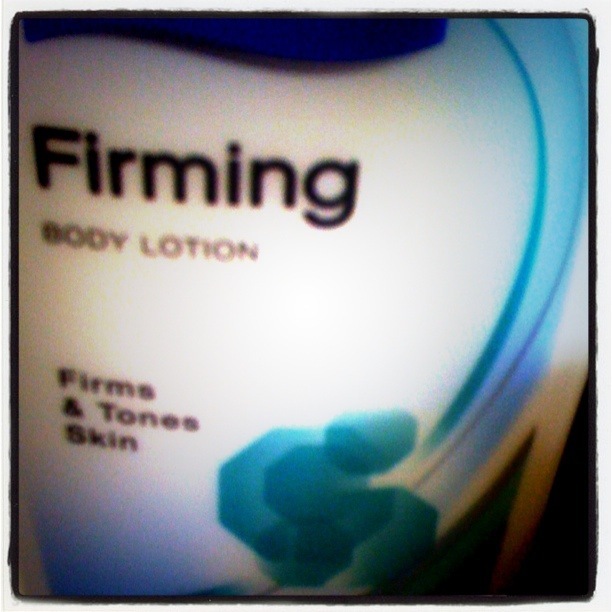 (one of the things Joey had to grab on his errands) I found the "Firming" lotion. FIRMING? Do you think he is trying to tell me something? Man I was so happy with him up until that moment! Those 48 hours of all his hard work, down the drain with some firming lotion. Most likely, he just grabbed a lotion that looked semi-familiar. Bob does stuff like that all the time. Glad you're feeling better.